Seychelles offers a wide range of business possibilities and investment opportunities in varied industries. The electricity sector is for sure in the attention of local and foreign entrepreneurs who can decide on different power plants, and alternatives for oil products. The liquified natural gas (LNG) might represent an excellent solution for the future of electricity in Seychelles, which is why a power plant is already on the governmental priorities. Seychelles is an important offshore jurisdiction which addresses to all investors from abroad interested in protecting their money among many aspects. 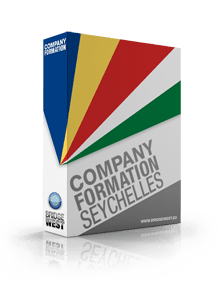 Our company formation specialists in Seychelles can help you open a company in Seychelles, regardless of the chosen industry for business. Bearing in mind that the electricity consumption in Seychelles met a significant growth in recent years, the government agreed on the plans of a brand-new power plant that can replace the heavy fuel oil products with liquified natural gas. It seems like a viable solution for the future of electricity in Seychelles and there are beliefs that the electricity consumption and the demands on the market can be sustained by the new power plant in the insular state. Plus, the costs for generating electricity by using LNG will be smaller compared to the heavy fuel oil. This important change should be implemented by the end of 2020 when the old power plants will partially close the operations. The alternatives for oil products and their use have always been a serious concern at an international level. Seychelles makes no exception in this direction, on the contrary, there are lots of chances to turn the traditional electric power plants into modern and innovative generating stations to align with the country’s needs and desire for positive changes. Foreign investments already sustain the electricity projects in Seychelles as the new power plant needs to be implemented starting with 2020. Foreign investors can set up offshores in Seychelles and can contact our team of company incorporation specialists in Seychelles for information and assistance in this direction.